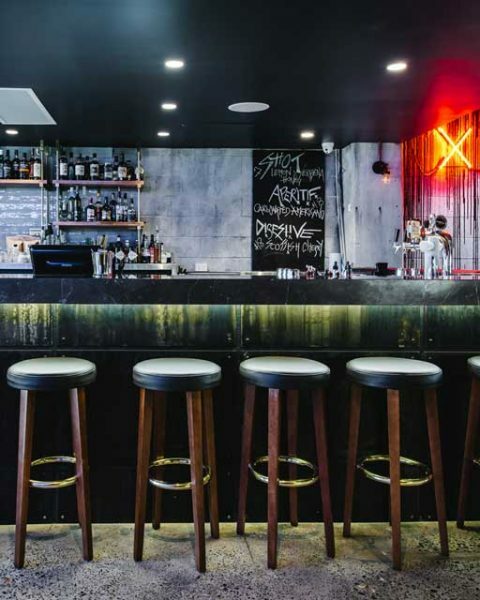 Salaryman is a ramen dedicated Japanese restaurant set in a raw and distressed interior. 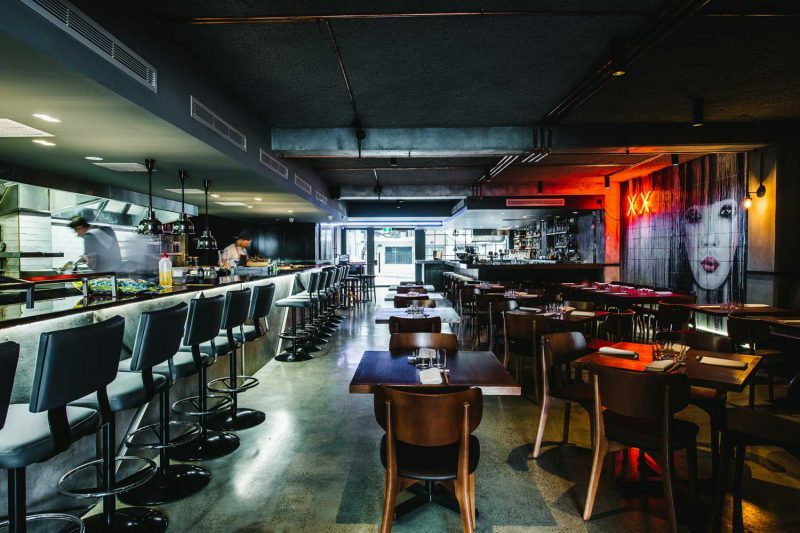 The space is inspired by the collection of small bars and restaurants hidden in the backstreets of Tokyo’s Omoide Yokocho (Memory Lane). 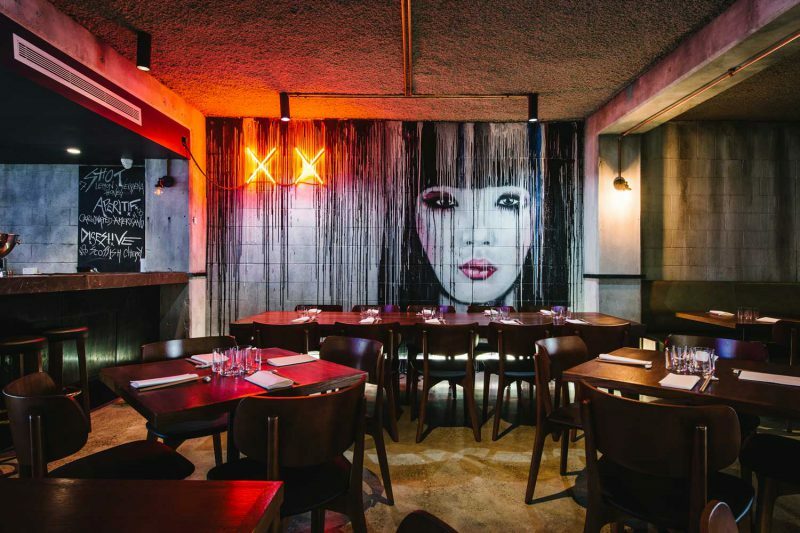 The open dining space is intimate and rough-hewn, featuring a giant mural of a Japanese woman with thick resin paint drips, symbolising the blend of Japanese and inner city ‘cool’ dining. 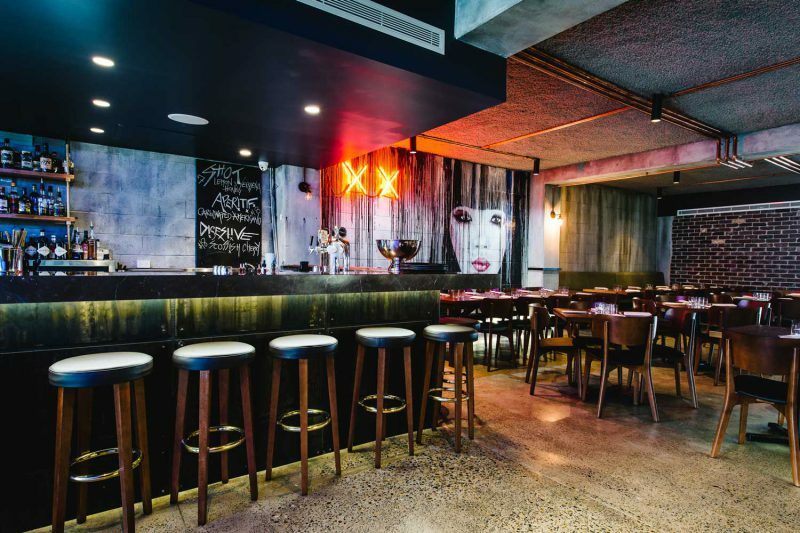 Worn and aged blockwork and brick walls surround the space, alongside the dining area with its open action filled kitchen. 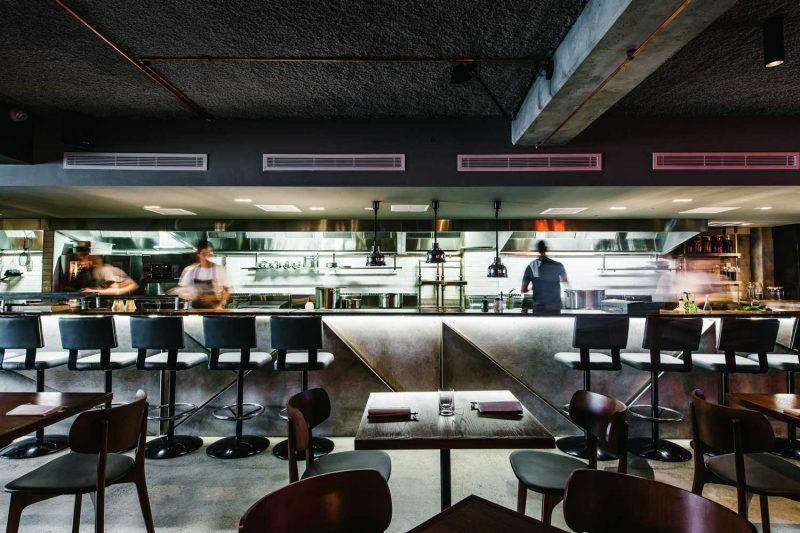 The kitchen bar counter is created using concrete sheets with origami / Tokyo post war inspired shapes.